Ecstasy is one of the most popular recreational drugs in the world. This illicit drug is very popular amongst young people especially at parties. It’s because it triggers a feeling of euphoria, happiness, and warmth. However, what is the function of the drug? It increases dopamine, serotonin, and norepinephrine levels in one’s brain. As a result, you you feel the enhanced effects. How much does it cost? Ecstasy street prices can vary quite a lot. What are the factors for this difference? Today, you can buy Ecstasy on the streets or from a dealer and on a Dark Web Markets. Ecstasy street prices have decreased in the last ten years, and now a global average price is $19 per pill. What are Ecstasy Street Prices in the United States? The price of Ecstasy depends mainly on the purity of the pill and the location. Therefore, it varies from state to state. Currently, the average Ecstasy street price in the United States is $35 per pill. West Coast $10 for a gram of pure MDMA. Southern parts of the U. S. 10- $20. East Coast $8- $10 for MDMA. Florida $50- $70 per gram. 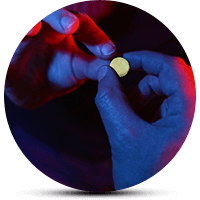 The average Ecstasy street price in Europe is $40 per pill and in Australia $32 per pill. In some European countries, you can buy it for $20 or less. In Eastern Europe, Ecstasy is quite cheap. and you can buy it for $2-$3 per pill. In Serbia, for example, you can buy ecstasy for $3. However, in some parts of Asia, in the Republic of Korea for example, Ecstasy can cost over $90. In the United Kingdom, you can get an Ecstasy pill for £5, but in other parts of the country, users will have to pay up to £15. In some small towns in the Netherlands, ecstasy users will have to pay €20 per pill. Moreover, in the Land Down Under, Australia, Ecstasy users have to pay $20 per pill. When it comes to Canada, Ecstasy prices vary. In Vancouver, one pill costs $20, but in Ontario, one will have to pay $50-$70 per gram. Ecstasy addiction can be very harmful to one’s health and also for his/ her wallet. This awful habit may cost hundreds of dollars per month depending on where the user lives. Finding money to buy drugs can be a real issue for an addict. As a result, it may cost them their freedom, job, and relationships. Ecstasy detoxification can also be a difficult process considering all the withdrawal symtoms and may require a medical supervision. In Georgia you can get them as low as $3 a piece and the highest is $5 a piece. How much for 100 in Southern States?